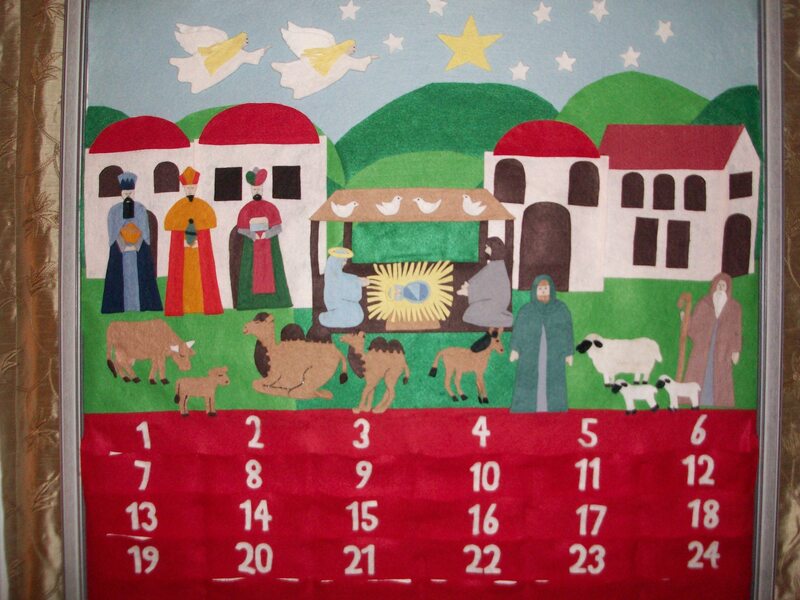 December 1st every year I put up an Advent Calendar that I made for my daughters when they were young. After they moved out I debated on whether or not I would give it away or just leave it in the closet until I had grandchildren old enough to enjoy it. Finally I decided that I would continue to put it up, because I realized that it was a tradition and I really am a child at heart. The problem I have every year is that when I take it down it just so depressing to me. I want it to last longer. I have left it up longer into January but it the action of putting it all away so quickly really bothers me. I finally came up with a solution this year. I am going to start on January 1st and reverse the process. I will put them away one by one. That way on January 25th I can wrap the board up and it won’t be so sad. Thus making my Christmas last longer. Now if I could just figure out how to do that with the Christmas tree! I decided to take down all the santas since Christmas is over but leave my greenery and tree till I’m over it! Because right now I’m sad to see it go!